NEMA 4X enclosures offer the highest level of weather protection for the harshest environments. 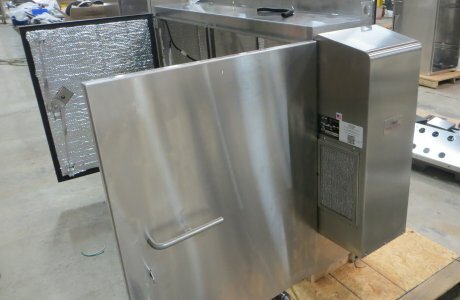 The enclosures have a seal strong enough to withstand direct water exposure such as blowing rain or from a hose, windblown particles such as dust and gravel, and corrosive and caustic cleaning materials. Contact us for a list of the features available for all of our NEMA rated products. 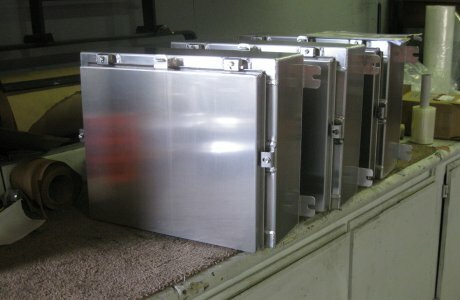 Southern's NEMA 4X enclosures are available in a variety of sizes from 16"x12"x6" up to 84"x44"x26". Please contact us to find a solution to your specific requirements. Whether you are looking for a single enclosures or high volume OEM quantities, Southern has the solution you need.